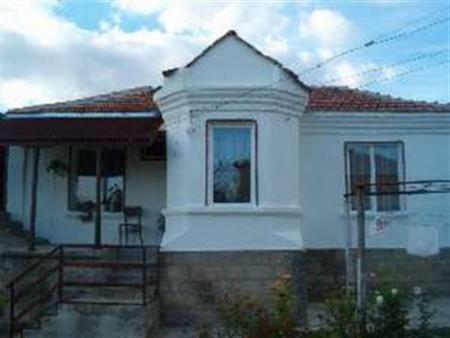 Description: House/Villa For Sale In The Municipality of Provadia. Renovated Bulgarian style house at 45km away from the Varna City Center and 10min. away from the town of Provadia. The village is ecologically clean. There are great panoramic views. There are two churches in the village, one of which is the second oldest church in Bulgaria. There are good transport links in the village, the roads are asphalted ones. There are many houses in the neighborhood, which belong to British families and an authentic castle in the vicinity (3 km) of the village. Well kept village, settled in a picturesque elevation, from which stunning view opens out to an ancient fortress. Take a look at this beautiful 2-storey house, made from stone in historical area. The house comprises: 2 rooms per each floor, indoor bathroom, indoor WC. Also there are one outbuilding, a barn, a garage, a well and a summer-house. Connected to the property is mains water, electricity, septic tank, with telephone and ADSL Internet available. There are additional buildings in the yard made entirely from stone, which can be converted very easily into cozy guesthouse. If you are looking for a home in a fine location near the sea but away from the city in a peaceful village atmosphere don`t hesitate and get advantage of this offer! It is could be your favorite house for holidays, just come and buy it! ENJOY THE BEAUTIFUL NATURE!